The British Gazette » What job is now safe? Ah, yes. We’ll always need politicians! Yes, your Editor admits it! 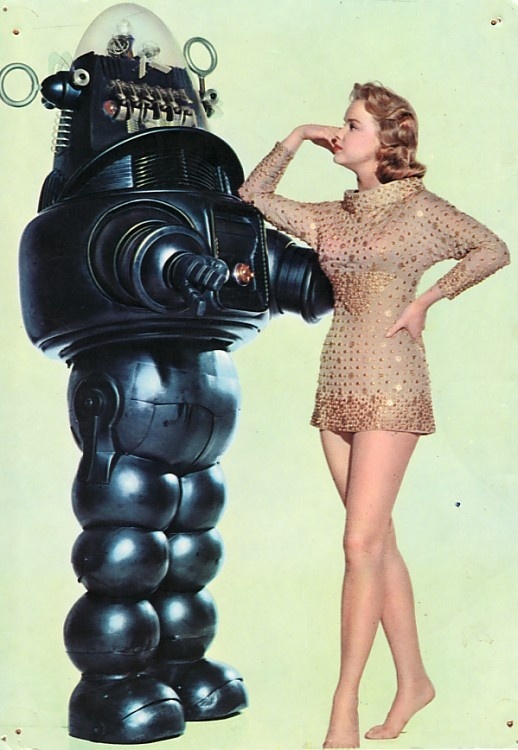 Today’s use of an image of “Robbie the Robot” of SciFi classic Forbidden Planet was as good as an excuse as any to show the late Anne Francis, best known (to us blokes over a certain age) of course for her role “Altaira” (daughter of Dr. Edward Morbius) in the 1956 classic. Sadly, Anne Francis died from Pancreatic cancer on 2nd January, 2011 (aged 80) at her home in Santa Barbara, California. The actual subject matter of this article is however the seeming unstoppable advancement of technology taking over from human workers in the workplace. Machines of course are the ultimate employee. They don’t complain, never go on strike and not knowing what a trade union is, will work 24/7 365 days a year for no money. All they want is some electricity and maybe a little oil (not olive). Employers haven’t had it so good since the lawmakers made the unpaid forced labour of captured Africans unlawful in the early part of the 19th century! It appears that all those young (and some not so young) people working in “call centres” across the world will soon be replaced by computers! British Gazette comment: Given the inane statements of some of our politicians surely a half decent computer could do a lot better?